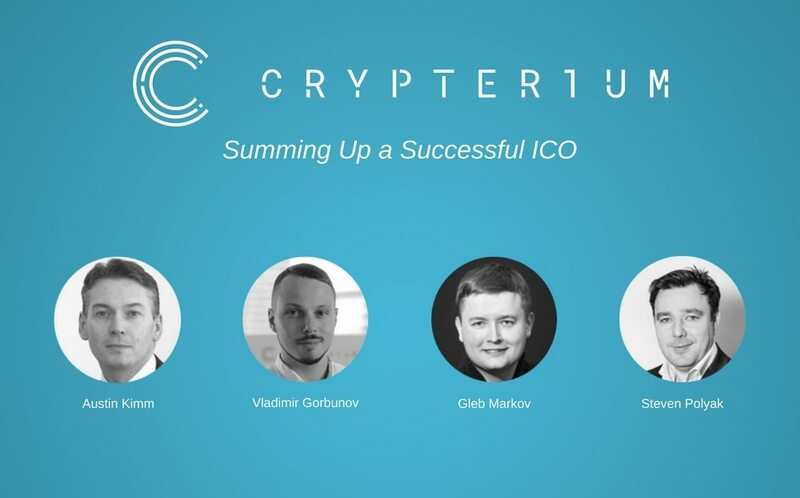 We met with the four co-founders of Crypterium– Gleb Markov, Steven Polyak, Vladimir Gorbunov, and Austin Kimm – and asked them six questions about their ICO, which recently wound up having reached its hard cap. Q: What are the three big takeaways from Crypterium’s successful ICO? Austin Kimm – Number one is the size of community we were able to engage with. From the evidence, I believe we are perhaps the most successful ICO in terms of the size of the audience. That doesn’t mean just token buyers, but also people who register on the website, people from the chat room, etc. At a conference, there was a queue of more than 200 people lining up to meet me because they’d either bought into the ICO or heard about Crypterium and wanted to learn more. And I think the biggest success was that we managed to capture the imagination not only of specialists but of a whole army of people moving into crypto. The second thing is because of this we got to meet an incredibly gifted group of people. We had a clear vision; we were a team of four and a couple more people, and during the ICO process all these people – CEOs of banks, CEOs of exchanges, strategic consultants, lots of different people – contacted us and asked questions, and this helped us to formulate a much clearer vision, which translated into hard cash; people really believed in us. We had 72,000 token buyers and collected about $50 million, which averages out to about $650 each, so an incredibly wide array of people have supported our ICO. Steven Polyak – From my standpoint, I think the key success of this ICO was its model: the business case, the product, and how the token fits into the product. It was logical, it was clear, and I think that’s fundamental. Number two is marketing –we did fantastic marketing! – and number three is the ability to communicate with advisors and get out and develop the network of peer professionals, which helped us get more traction. We finished the ICO early on reaching the hard cap, and we’re very pleased about that. We became a widely popular ICO. The average token sale has four to six thousand buyers, but we have more than 60,000 token holders from more than 150 countries, and more than 300,000 accounts registered. On Telegram we have 30,000 participants, which shows the unheard-of scale and global interest in our project. Thirdly, the structure of our token holders. In contrast to most ICOs, there aren’t any big checks; we had many people buying $200-$300 worth, and this is a good thing: it means we have normal, everyday people who support us, and no one will be able to control the price of our token upwards or downwards on the inevitable secondary market. Vladimir Gorbunov – We became number one in the number of token holders in the world; we obtained an enormous user base and support from a community of 300,000 people, and we didn’t even try to blow past the hard cap. Q: Were there any surprises for you in this ICO? Austin Kimm – The key surprise was really how we were able to connect with the audience. When I personally try to explain cryptocurrency to my friends and family, it’s usually difficult and people look at you blank-faced. Through the ICO we put forward a very easy message: imagine if you could spend cryptocurrency the same way you spend any other currency. We broke information down into small pieces that anyone could understand. For me the biggest surprise was the response. At the beginning, I thought about 2,000-3,000 specialists would buy our tokens, but we ended up with 300,000 people registered on our platform. Also, Vladimir’s video got 4.7 million views on YouTube – that’s Justin Bieber-type levels. Vladimir Gorbunov – It was a pleasant surprise to see the growth of bitcoin and the other main cryptocurrencies, which was a big help in reaching our goal. Another surprise was that if you wind up in the group of ICOs that collect more than 10 million, then people start to talk you down, send you all kinds of junk, write all kinds of negative reviews – complete nonsense! But the biggest surprise was that a real frenzy began towards the New Year in which we collected 35% of our hard cap. Gleb Markov – For us, everything that I said above was a surprise: the fact that we reached the hard cap; we didn’t even think that we would get half the amount from sales, but we would have released the product anyway. It was also a surprise that statistically we differed from all other ICOs in having so many buyers. For most token sales, the standard scenario is that there are many, many sales the first few days, and then they dry up. 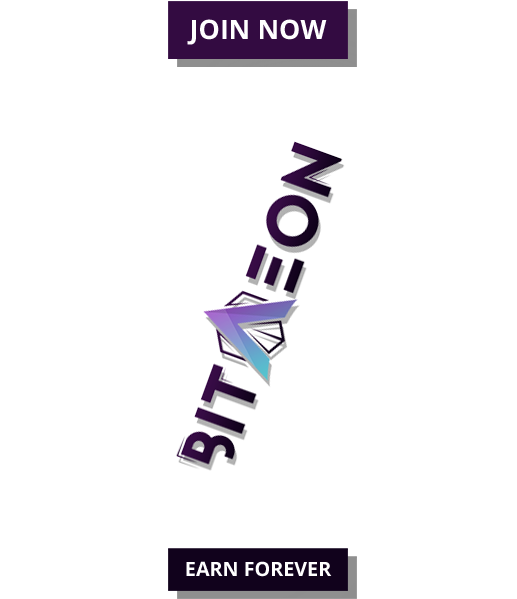 For us, it was the other way around, and in the final days of the token sale, when there were no more bonuses available and tokens were purchased 1 for 1, in the days before New Year’s when the price of altcoins was rising against bitcoin, and such purchases became even less attractive, we were collecting $1 million a day, and in some of the final days we sold more than we had in the initial days. Q: What were the key difficulties that you had to tackle during the ICO? Vladimir Gorbunov – Preparing for an ICO is a really complex process, since there’s a huge amount of work to be done by a specific date that can’t be deferred, and it’s like preparing for elections – you have to get it all done. It’s absolutely unknown how the community’s going to react to the project since no one in this segment had anything like it. There’s such psychological pressure, constant tension, attacks of nerves, accidents: it all made it one of the most difficult stages. Steven Polyak – I think that the difficulty was to attract institutional investors. It was not an easy start, but it became easier as we began to get a lot more interest. Austin Kimm – The biggest problem we faced was platform speed, of coping with the number of potential token buyers and distribution of tokens because the interest was so high. The hardest thing for us to deal with was volume, because no one has ever seen this level before. We now get a little bit of criticism on the problem of insufficient speed of query processing. Gleb Markov – There’s such a large number of companies buzzing around that want to help you, that take money up front and then disappear, or that clearly can’t do what they promise but don’t want to return your money. Q: What do you think helped you the most in reaching the hard cap? Vladimir Gorbunov – The first thing is the correct positioning of the product; even the Financial Times said that we were hinting to JP Morgan that they’d missed their opportunity. Second is the ideology of the product, since in the future cryptobanks may be very important. Third would, of course, be strong advisers, and a strong team. Austin Kimm – I think that it was really incredible marketing. We had a very simple, clear message backed up by fantastic crowd marketing. As a company, we didn’t get to institutionals, so we had to be even better in marketing, because obviously if we got $10 million from Dragon Draper, everyone would say, ‘OK, due diligence has been done, and I can put my money in,’ but when you launch with zero pre-money it’s actually pretty difficult. The ultimate success factor was our simple message, coinciding with the rise of bitcoin and cryptocurrencies, and people buying into this message. Another thing I believe that we were good at was looking for people who wanted to diversify their crypto businesses, because we are a crypto bank. Gleb Markov – Two things: the token sales volume, which started high and remained high every day; sometimes even our book building platform couldn’t handle it and crashed under the load. Also, the rise in the bitcoin price: we sold tokens priced in bitcoin, but we deliberately set the hard cap in dollars. Q: What are your plans for 2018, and what steps will you be taking in the next few months? Steven Polyak – The key for this year I think is the product and its development, and revenue gain on the product. Austin Kimm – Step number one is restating our priorities and making a roadmap. We’re all meeting in Singapore in early February with strategic players and advisers, and we will reconfirm our priorities. The more money you get, the more it influences the speed and order in a different way, so we’re thinking of getting the product out at the end of the first quarter or the beginning of the second quarter. Everything after that is still under debate; as I say, we’re going to meet in Singapore to decide all that. Gleb Markov – The app will come out in the first half of 2018, and our other plans for 2018 are the same as for the five to ten years after that: creating and scaling the effective blockchain that our audience needs, of fintech products that are in demand on the market and are related one way or another to cryptocurrency. There is clearly a need for this, on the part of both payers and the recipients of funds (retail outlets). We have to offer this infrastructure solution. Who can do this if not us? We’ve been around for 10 years, we’re specialists with proven experience, and for us, it’s a point of honor to provide a solution that everyone will use and that will be the best. 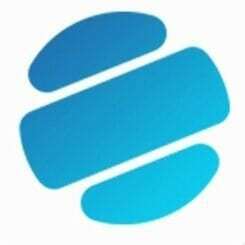 We intend to be the absolute leader, the JP Morgan among cryptobanks. Vladimir Gorbunov – The app will be released in the very near future. One of the main challenges right now is to set up an international team. We’re opening offices in London and Singapore, and we’ll have several other divisions. The second thing is working with exchanges; we hope that soon, at the beginning of March, we’ll be able to list on some of the top exchanges, and we’re already working on this. Another key task is to shape the product, not only with the app but by creating a payment ecosystem. 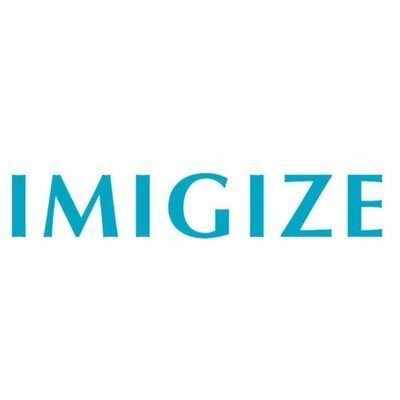 Q: What is one piece of advice you would give to companies planning their ICO for 2018? Gleb Markov – Don’t approach the ICO like it’s an easy way to collect funds; you should be ready to launch your project even without collecting money in an ICO, and best of all even before the ICO. I realize that some people won’t heed this advice, and will rush off to come up with some useless, possibly illegal idea. Just remember that just about 100 ICOs per day are being launched, and there’s a lot of competition. People have already been burned, and they are not stupid – so it’s no so easy to reach your goal. If you have no strong team or own financing and are not ready to launch the project even if your ICO fails to bring in the necessary funds, I would strongly advise you against such a laborious and uncertain project. Austin Kimm – I think it is important to make the structure of your utility token easy for people to understand. Sometimes I read the White Papers of projects that ask me to be their advisor, and I am not sure why people would want to own these tokens. Make sure the token economics really works before you start marketing; we worked out our token’s core economics in minute detail before we started. People have to see how they would benefit from buying your token. Steven Polyak – I think it’s essential to have good legal advice, and ICOBox helped us a lot with this. I think legal issues are fundamental, especially in 2018. Vladimir Gorbunov – Rely only on yourself and don’t count on anyone’s help. There is no single recipe for success; it’s always a mix – the right marketing, getting the right idea at the right time. New project shouldn’t be afraid. With the right effort and foresight, it may just work out!